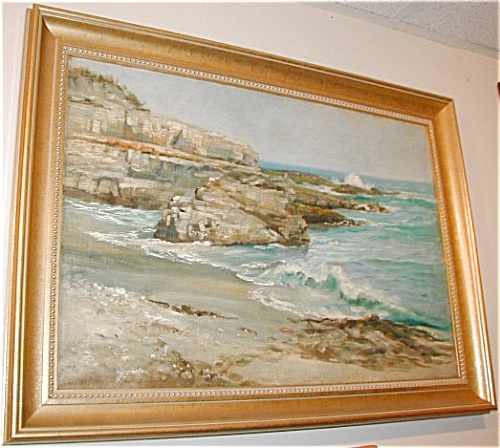 Are you seeking information regarding fine art you own? As professional appraisal experts we offer appraisal and research services to provide you with answers to your questions regarding the identification, history and value of antiques and fine art. Information about antiques and fine art benefits you by increasing your understanding and appreciation for your antique items. Value assessment enables you to determine whether you have adequate insurance coverage for your antiques and fine art. How can our professional appraisal and research expertise help you? If you have works of art such as paintings, sculpture, bronzes, etc. which you wish to know more about we are able to provide artist identification and biographical information as well as value assessment. What is our professional background? Our antiques and fine art appraisal business has served satisfied clients over many years as a member of the New England Appraisers Association. Our reputation is one of impeccable integrity as witnessed by outstanding membership in the Better Business Bureau. Our appraisal and research capabilities include a wide spectrum of antiques and fine art with significant experience in the evaluation of American and European paintings and sculpture, American and European furniture, American and European silver, porcelain, ceramics, glass, books, autographs, etc. Access to an extensive art and antique history reference library located at Dartmouth College in Hanover, N.H. which contains a vast quantity of art and antique related research materials enables us to locate virtually any available information regarding just about anything in the way of antiques and fine art. What is the cost for utilizing our appraisal and research services? We offer our professional appraisal and research expertise for a reasonable fee. Please inquire and we will indicate what the fee would be to provide you with information and values about your antique item(s). The fee for appraisal/research services generally begins at about $20 for basic valuation/identification of an item or two and increases from there depending on the number of items to be appraised and value analysis and identification research time involved. How to proceed once you are ready to submit an appraisal or research request? We will promptly proceed with your appraisal/research inquiry once payment and request for service is received. When submitting your request(s) please include photos or digital images (for evaluation purposes)and indicate relevant markings, photographed, photocopied or hand-copied if possible. Answers to your requests are processed promptly and should arrive to you within several days of our having received your submission. We look forward to providing you with information about your antiques and fine art.